We just published the list of 2019 skis identified as the best for older skiers. The 61 selected skis generally have a softer flex, which helps them engage snow with minimal exertion, allowing older skiers to turn more easily and to ski longer without tiring. Twenty-one women’s models are included. The skis were selected during the annual national ski evaluation process organized by the renowned ski review site, Realskiers.com. The recommended skis are grouped into six categories, each based on the ski’s width, which helps determine the terrain where its performance is optimized. If you’re considering a purchase, we recommend first identifying the most suitable category, then skiing the selections using a demo program. This may be accomplished by working with a quality ski shop. Frontside (aka “Carving” skis)encompass the broadest range of skier abilities from entry-level to experienced. They are for use on groomed terrain. Wider models are usable off-trail. All-Mountain East are versatile skis that work equally well in on-trail and off-trail conditions. 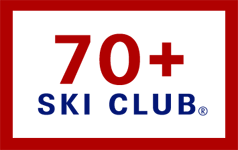 This category is suitable for those who have not skied in a few years. All-Mountain West are good for use in the West by high performance skiers. They are adapted for off-trail use but can be skied on-trail by skilled skiers. Big Mountainare essentially more maneuverable powder skis. They are inadvisable for regular on-trail use. Powder are specialty skis for use in deep powder only. 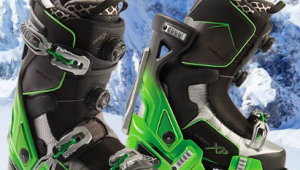 Technical skishave high performance race ski characteristics and are suitable for caving turns on hard-snow. To access the list click here.